Dangerous in Diamonds is the story of Tristan, the Duke of Castleford, and Daphne, the owner of Rarest Blooms. Tristan is quirky–only works on Tuesdays–but also very intelligent. Daphne is sedate, calm and collected, on the outside. Inside, she’s highly intelligent and passionate. They meet when Tristan inherits the land and buildings of Rarest Blooms. Though he has no interest in them, he contrives reasons to take them over just so he can win her over. By all rights, Daphne has the disadvantage, but she manages to find ways to fight back. She has heard about Tristan’s scandalous ways and refuses to be his next conquest. They argue, banter and unravel each other’s secrets. Along the way, we learn their fears and reasons for why they act the way they do. And they fall in love. 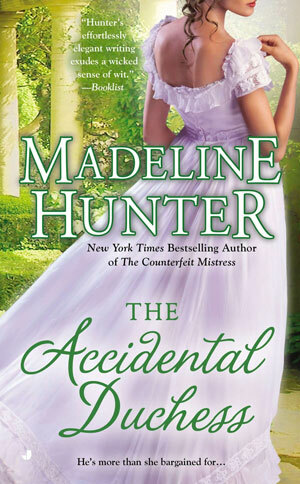 Madeline Hunter is a master of historical romance but that’s not the limits of her appeal. 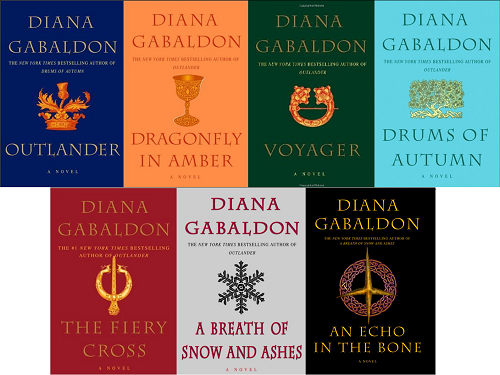 Her characters are without doubt, some of the most enjoyable I’ve ever read. They compliment and enrich each other, bringing out their best sides until the reader can’t wait to see them fall in love. I would recommend this book highly to any fan of historical romance and to anyone interested in trying out the genre. Take an afternoon, turn off the phone and enjoy. This one is one to be savoured. “Are you unwell, Mrs. Joyes? You have been extraordinarily composed thus far, but now you appear close to fainting.” Pg. 14 from Dangerous in Diamonds by Madeline Hunter. “…Twice now you have spoken too quickly on my account. I would think that the last time cost you dearly enough.” Pg. 89 from Secrets of Surrender. Note: click on the cover to go to the author’s page. “Panic swelled. Lydia stared at the door after the duke left, and wondered if she should try to move a heavy chair against it.” Pg. 180 from ‘The Accidental Duchess’ by Madeline Hunter.